North Merrick, New York, USA. March 31, 2018. 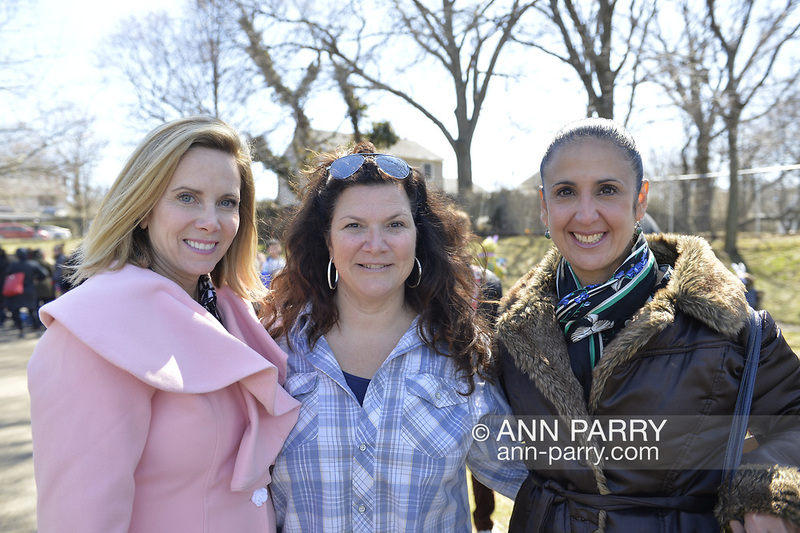 L-R, Town of Hempstead Supervisor LAURA GILLEN, WENDY GARGIULO, President of the North Merrick Board of Education; and Hempstead Town Clerk SYLVIA CABANA pose at the Annual Eggstravaganza, held at Fraser Park.